If you’re looking for a one-stop resource for quality products and friendly, reliable service, call Chesterfield Electric and HVAC. We are family owned and operated since 2009 and we are a full service residential and commercial comfort control business. We maintain, install, repair and upgrade air conditioners, heaters, boilers, air filtration systems, and thermostats. 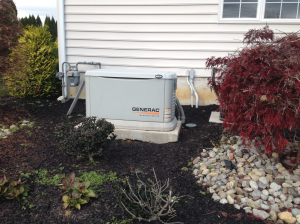 We provide quality electrical services from wiring or circuit problems to the installation, maintenance and service of whole house standby generators. We provide our services to residential and light commercial customers in Burlington, Mercer, Middlesex, Monmouth and Ocean counties. If you need service and do not see your county listed, please contact us at 609-534-3143 as we may be able to service your area as well. Give us a call – we look at all jobs big and small. We offer free estimates, fair and upfront pricing, and have financing available to help you obtain the best heating and air conditioning solutions for your home.